Update: Microsoft has acquired GitHub for $7.5 billion. Microsoft Corporate Vice President Nat Friedman, founder of Xamarin and an open source veteran, will assume the role of GitHub CEO. Growing rumors that Microsoft will acquire collaborative coding startup GitHub have been further substantiated by a report from Bloomberg, which claims that the software giant has agreed to the acquisition. Last valued at $2 billion (in 2015), GitHub is responsible for hosting the single largest collection of code in one place, acting as the repository for projects ranging in scope from small developer teams to the likes of Google. GitHub has been hunting for a new CEO for the last nine months, after co-founder Chris Wanstrath announced his intentions to step down. The full details of the acquisition are yet to be revealed but Bloomberg suggests they are very imminent. The coding company was allegedly impressed by the active approach Microsoft’s current CEO, Satya Nadella, has taken with supporting developers and other coding initiatives since he took on the role in 2014. So what does it mean for the world’s biggest crowd-sourced code repository to be bought by the world's biggest software company? For one, it potentially gives Microsoft access to over 28 million software developers and their code. 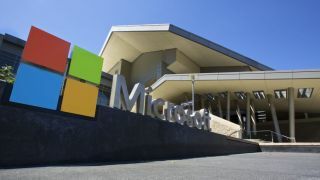 While this may result in some more exciting and creative software being developed by Microsoft, the details on the degree of ownership and control it would have over the code stored on GitHub are yet to be made clear, and users are cautious. A Twitter poll from Bryan Lunduke showed that 68% of existing GitHub users would move to another service if the acquisition went ahead, and only 25% of Twitter users asked by Tom Warren of The Verge thought that it was good news. How this story will pan out is yet to be determined, so stay tuned for the full announcement of the alleged acquisition and what the two companies have to say about its affect on their respective users.